Post- production of goods include the job of packaging i.e. closing of the bags ready for the transportation. It is the time when comes the role of Bag closing machine which plays its part in final procedure of sealing the produced goods. These machines come in variant forms naming – Bag Closer Sewing Machine, Single Thread Closer Sewing Machine and alike. Bag closing machine manufacturers have designed these machines so prominently that it suits the requirement of the industries by providing them an easy and human friendly portable sealers. This machine can be used to close the stuffs namely – cement, sugar, flour, chemical fertilizers, pesticides, rice, cattle feed, powdered milk, shopping bags and alike. It is also preferred because it saves time and could be operated by semi-skilled workers. It is manufactured under the guidance of experienced technocrats by keeping the market needs in mind. 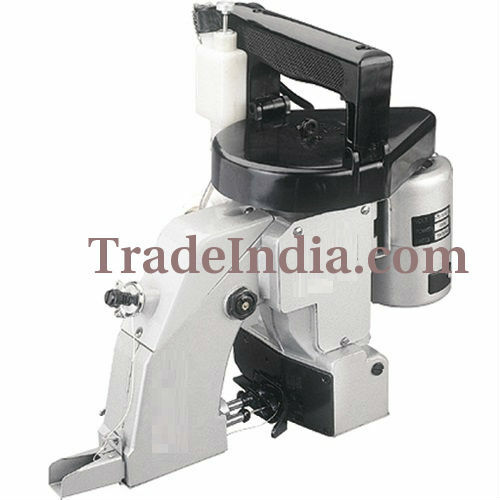 Today this machine is widely used in the growing SMEs of India, also the Bag closing machine suppliers are dispersed all over the country. Earlier, industries were dependent on hand stitching to seal the stuffed bags, which turned out to be unsuccessful because of the weight carried by the materials and the loose closing. But now with the change in technology and to upgrade the technique of closing the mouth of the packages, Bag closing machines have come into the picture. Capable of stitching filled bags of almost all kind of material namely- Jute, poly jut and alike. The entire range has solid structure making it useful in long term operation. Before operating a new machine or the one using after a long time, the dust must be cleaned off. It is important to note, the lubrication is required to be done timely i.e. oiling the parts before beginning to work each time and it should be added after every 4 hours of continuous use.